This is the study of properties that give a depreciation report on facilities. This is mainly done for condominiums and commercial buildings. These reports are important because they let their owners know the value of their properties frequently, the rate of depreciation and how to curb it. 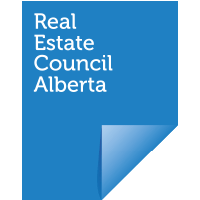 Reserve fund studies in Calgary is very important to ensure that you are dealing with the precise estimates. 3. It also contains a 25 to 40 years projection of a depreciation trend of the building. 4. Age of the building, any repairs undertaken and the cost of repairs. 5. Recommendations for reducing the rate of depreciation and any form of upgrades that may increase the value of the property. 6. Safety concerns and audits to highlight any danger that may be a threat to life. Why conduct a Reserve Fund Study? The law states that the study should be done after five years. Apart from knowing the value and depreciation rate of a building, it also alerts the owners and government of facilities that may not be habitable. They help identify areas that can be renovated or refurbished. Depreciation may result from areas of neglect which, when identified will raise the value of the facility. It helps in knowing the actual value of the property. The depreciation curve is not uniform, and hence it is necessary to know the value of your property periodically. Enables the owner to take steps in slowing down the depreciation of the facility. Once the areas that may be contributing to depreciation are identified, then measures should be made to stop the cause of the depreciation. Makes it easy to set aside budgets for renovations. Budgets make financial planning easy and hence the need to identify the repair needs for the facilities. Why Harrison Bowker Valuation Company? This is a top of the class company that offers the following services. 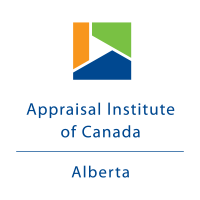 All kinds of Insurance Cost Appraisals. Reserve Fund Study and Depreciation Reports. Our target clients are property owners, condominiums, and real estate players. Our staff members are qualified and always go the extra mile to meet our customer's various needs. They are professionally trained to carry out the Reserve Fund Studies and advice on facility improvement options available for facility owners. We assist in preparing budgets for building repairs and renovations and also advise on how to add value to your property to avoid depreciation out of negligence. Call us, and we will walk with you to determine the current value of your property, its depreciation trend and how to slow it down. It is required by law that a reserve fund study is performed in buildings. This goes a long way in showing the most current value of the building which enables the owner to make decisions on how to renovate or give a facelift to an old building. It also helps in preparing budgets for repairs and maintenance.